The objective of this presentation is to explore the additional, new online resources teachers can utilize for remediation provided by Math Nation. Math nation is a comprehensive online teaching and learning system designed to help students improve their conceptual and procedural understandings of mathematics courses i.e. ; Pre-Algebra, Algebra I, Geometry, and Algebra 2. After the presentation participants will discover that Math Nation is NOT only about videos featuring energetic Study Experts. Participants will explore and learn how to utilize following resources, for each topic, to piece together standard based lesson plans to assist all types of learners. Violette Espinoza began her career in education as a middle school math teacher in 2003 in Miami Dade, Florida. Violette has taught Liberal Arts Math, Algebra 1, Algebra 1 Honors, Geometry, Geometry Honors, and Analysis of Functions. She holds a bachelor’s degree from The Ohio State University and a master’s degree in Teaching Mathematics from Florida Atlantic University. After moving from public school to private school for a few years Violette returned to teach high school math at Western High. Violette shares that her decision to return to public school is based on her passion and desire to make math purposeful for students who have limited resources and struggle academically. Throughout her career Violette has run Professional Learning Communities for the Mathematics Department and acted as Department Chair for middle school. In addition to her responsibility as a teacher leader, Violette is Clinical Educator Certified, Micro-Credentialed Certified, has been a member of several textbook adoption committees, and a key player in math curriculum. 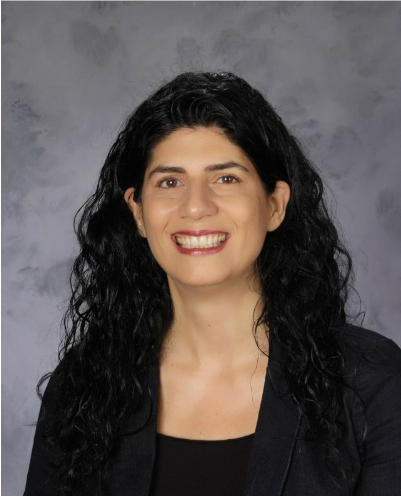 With her latest responsibility as a member of the Secondary Math Broward Task Force she hopes to make math more accessible to students through coaching teachers on how to develop and deliver common core/standard based lessons that help prepare students to be college-and career ready.